To start with the warehouse management, the services range from suppliers to inventory movements and customers and is known for optimizing all of the warehousing operations. The system is always found to be a part of the complex distribution system and therefore requires much attention to function properly. 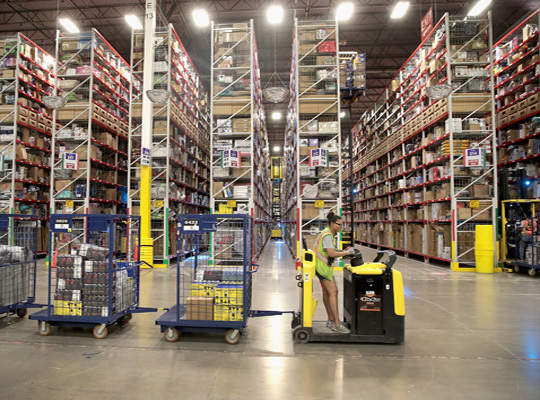 With the SMBs pooling, their ways for managing the warehouse inventory the today's scenario for the same is said to be comprised of e-commerce fulfillment, same-day delivery, and integrated logistics. The OSI helps in the execution of the warehouse management system for improving their competitive advantage by enhancing customer care services, improving the inventory accuracy, minimization of labor expenses, increasing responsiveness and flexibility. The OSI firm has been building the system for managing the real-time inventory with data as per the latest shipment, receipt or order and can track any movement in between. Creating a mobile application solution can help any firm in monitoring the flow of the system from any part of the world. How can a warehouse management system help in increasing your business? Do you know that a good warehouse management system can help in minimizing the lead times by placing the restrictions for the inventory movements? Thus, the requirement for the safety stocks can be reduced here, and the execution of a proper management system will improve the turnover and the management of working capital too. The warehouse management system can help you in effectively and systematically locating the products about shipping, packaging and receiving fields. The efficiency at any part of the cycle will increase the productivity and will help in cutting the inventory expense by a significant value. With the execution of an automated warehouse management system the customer care service can able to assist the customer about the availability of stocks and their exact delivery dates to their location. If in any case there is any back-ordered inventory than it can be automatically recognized and execution as required. With the maintenance of shipment accuracy, the workforce could able to optimize the material flow, and the cycle can be executed by integrating various inventory picks. The correct execution of the management system can minimize the returns and wrong product delivery too. For the companies maintaining huge warehouses, OSI is a boon as they give a chance to them to come with various ideas and to build the suitable and customized applications for them as desired. Look forward to having a conversation with OSI executive to know them better in the field and how can you integrate the ideas to come up with a suitable solution for your venture.